When your Nissan is in need of some new parts, it’s important to choose the right ones so your vehicle can keep running great. 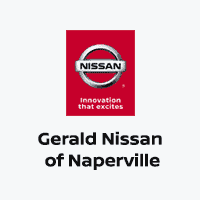 If you’re looking for Nissan auto parts in Naperville, IL, be sure to stop by Gerald Nissan of Naperville. We will make sure you get the parts that work best for your vehicle. We are happy to help with all your parts needs. If you’re repairing your vehicle, upgrading it or anything in between, we will help you find the right parts to get the job done. Just tell us what you need and we will find it in our inventory or order it for you right away. If you’re not sure which exact part would be best for your vehicle, don’t hesitate to ask our parts team; we will gladly offer suggestions so you can find the part that’s right for your vehicle. At our parts center, you’ll find genuine Nissan parts. They are high quality and they’re made specifically for Nissan vehicles. When you choose these parts, you can feel confident that your vehicle is getting only the best and will keep running at its best. And if you want to be sure that they’re installed properly, feel free to stop by our service center, and we will get the job done right. If you’re looking for Nissan auto parts in Naperville, IL, be sure you give us a call at (877) 263-2943 or pay us a visit at our dealership located at 1575 West Ogden Ave, Naperville, IL, 60540. We will gladly help you find the parts you need so you can get your vehicle back into great shape.